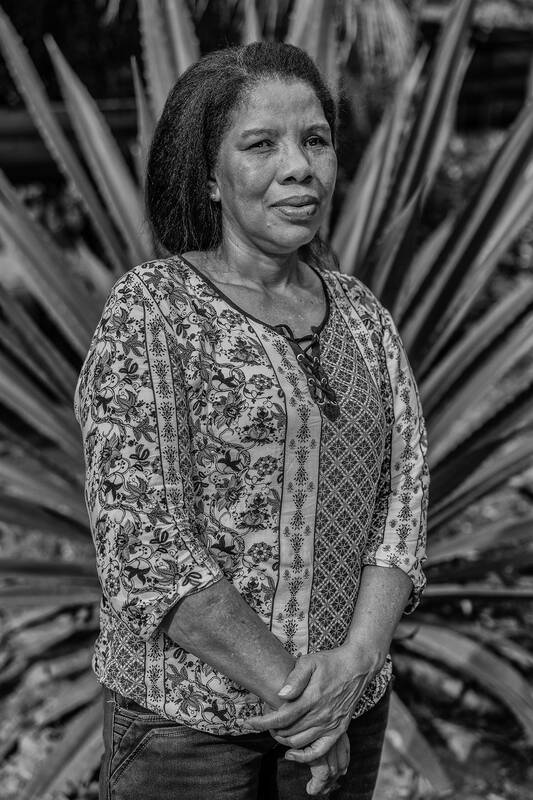 PRISON YARD Ex–guerrilla commander Elda Neyis Mosquera, known by her nom de guerre Karina, under house arrest at a 17th Brigade army base in northwestern Colombia. 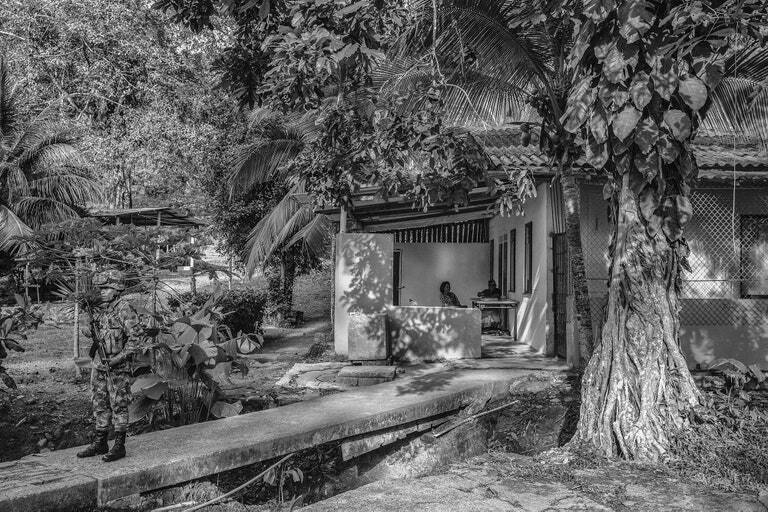 Photograph by Juan Arredondo. A SYMBOL OF WAR Karina’s acts of war earned her a reputation as a heartless butcher, but she now hopes to serve as a beacon of reconciliation. 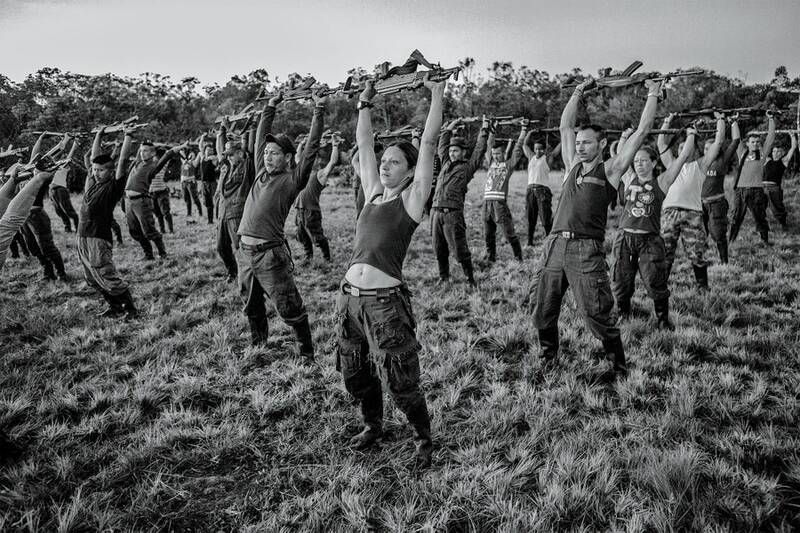 FIGHTING WHILE FEMALE — FARC men and women were expected to perform all the same tasks, but the veneer of equality masked a system of misogynistic abuse that encompassed rapes, forced abortions, and the execution of women judged to be promiscuous. Photograph by Juan Arredondo. 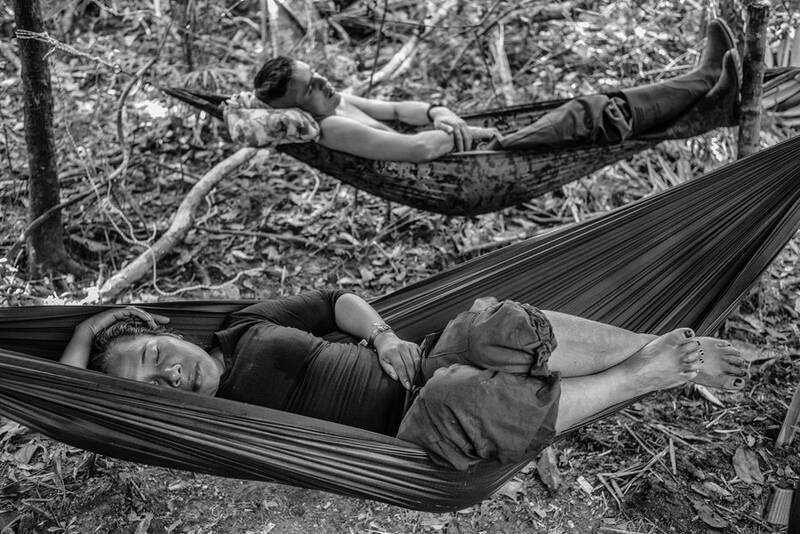 A CALM MOMENT AMONG SOLDIERS Marina, a member of the 17th front of FARC takes an afternoon nap next to her partner Alexander, November 2016. 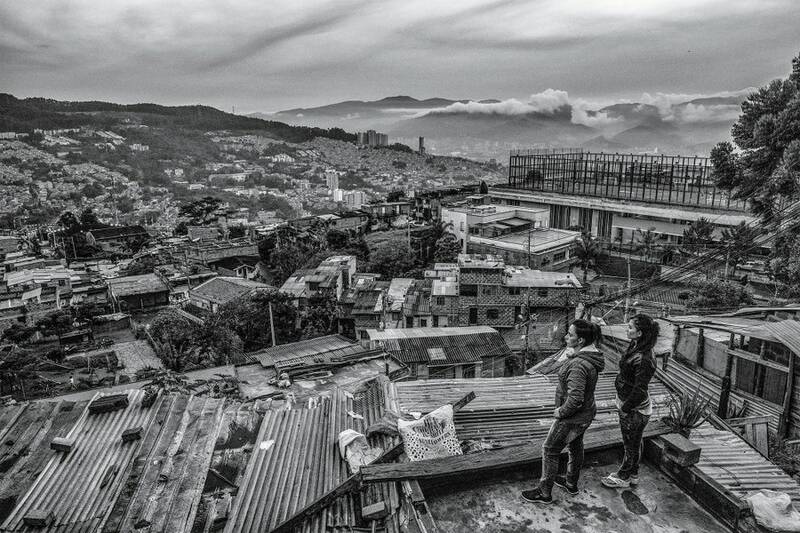 Photograph by Juan Arredondo. 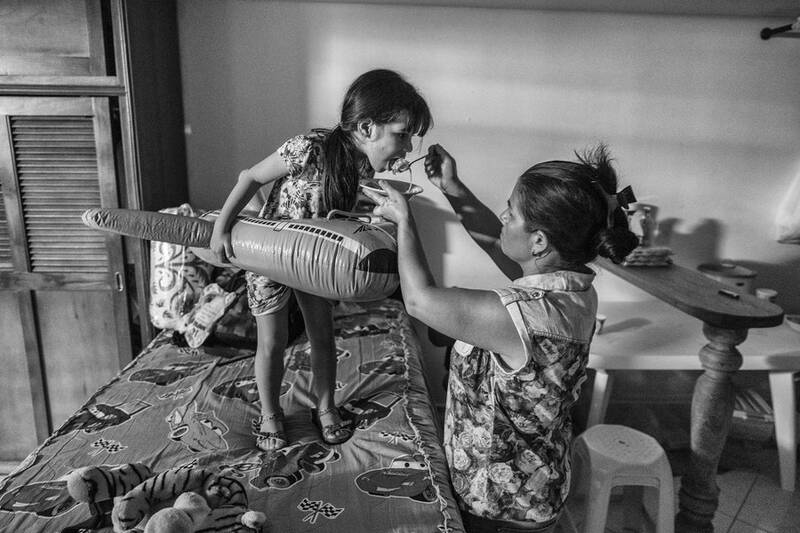 A MOTHER’S LOVE “Viviana” feeds her daughter at their home in Medellin. 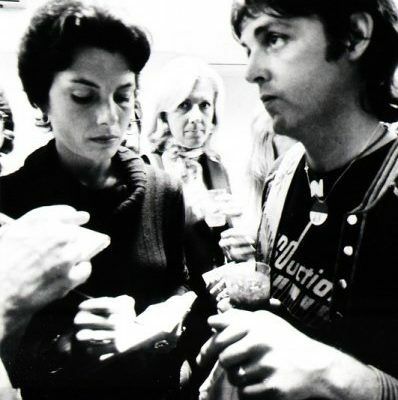 Photograph by Juan Arredondo. 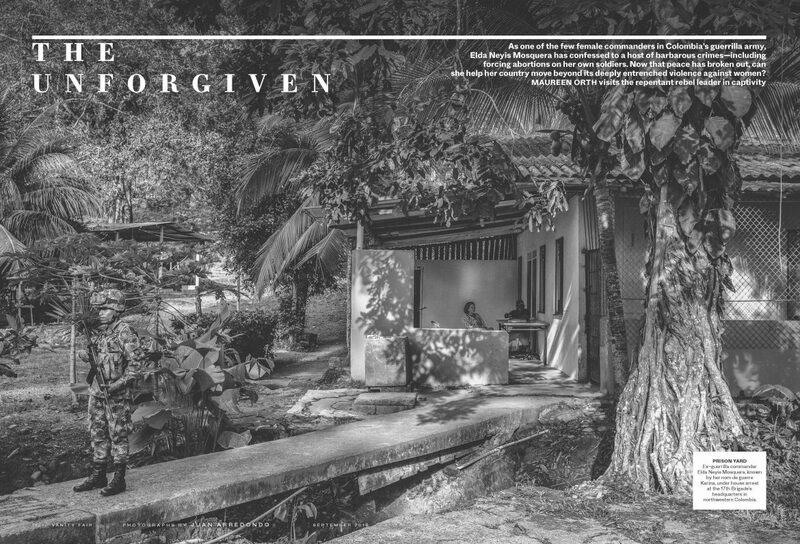 THE PRICE OF PEACE “Susana” and “Victoria” are two of the many former FARC soldiers struggling to find a place in postwar Colombian society. Photograph by Juan Arredondo.